The Insights in Chest Diseases on the open access platform after a thorough peer reviewing process. The journal accepts research articles, reviews and short communication that cover various aspects of the chest disorders including: Antithrombotic therapy, Asthma, Cardiovascular disease, Pulmonary diseases and medicine, Signs and Symptoms of Chest diseases, etc. Open access is an innovative publishing platform in which all articles published in this journal will be accessible online, to anyone, anywhere in the world, completely free of charge. Articles once submitted to the journal are peer-reviewed wisely. Once accepted, articles are then proof-read for publication. 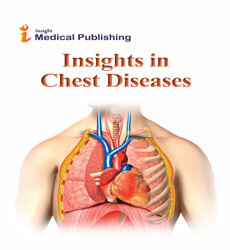 The aim of this journal is to inform the readers and all chest physicians of the development in medical research covering all facet of chest diseases which can improve health care and outcomes for persons suffering from chest diseases, moreover mitigate the conditions related to chest diseases globally. A chest infection is an infection that affects your lungs, either in the larger airways bronchitis or in the smaller air sacs (pneumonia). There is a build-up of pus and fluid (mucus), and the airways become swollen, making it difficult for you to breathe. OMICS Journal of Radiology, Mycobacterial Diseases, Journal of Pulmonary & Respiratory Medicine, Journal of Infectious Diseases & Therapy, Journal of Antimicrobial Chemotherapy, American Journal of Respiratory and Critical Care Medicine, Respiratory Medicine, Multidisciplinary Respiratory Medicine. Chest pain may arise from several different problems in the body. The exact cause of chest pain is difficult to determine it is described as sharp burning sensation involving the heart or lungs. The pain can be felt from neck, shoulders to the back of the body. Usually the intensity of the pain varies with the time. Journal of Pain & Relief, Journal of Pain Management & Medicine, OMICS Journal of Radiology, General Medicine: Open Access, Circulation, Continuing Education in Anaesthesia, Critical Care & Pain, Cases Journal, The British Journal of Cardiology, Journal of Cardiovascular Nursing, The Journal of Clinical Psychiatry, Journal of Cardiovascular Tomography. It comprises a group of radiologists who are specialized in different aspects of lung disorders. They provide full range of diagnostic examinations for various diseases related to chest. Radiologists play a vital role in screening lung cancer and its management. Thoracic imaging also includes the examination of chest radiography, chest CT, low-dose lung cancer screening CT, FDG PET/CT, thoracic MRI, and cardiac CT and MRI. International Journal of Clinical & Medical Imaging, OMICS Journal of Radiology, Journal of Medical Diagnostic Methods, Journal of Molecular Imaging & Dynamics, Journal of Thoracic Imaging, Radiology, American Journal of Roentgenology, Journal of the COPD Foundation, Korean Journal of Radiology, The Thoracic and Cardiovascular Surgeon Reports, European Respiratory Journal. Physiotherapy is set of physical treatments designed to improve the respiration and in process help to breathe healthier. It involves expansions of the lungs, strengthens respiratory muscles and improves secretions from the respiratory system. The purpose is to get more oxygen inside the body. It is used in treatment lung diseases such as cystic fibrosis and COPD (chronic obstructive pulmonary disease). Several types of chest physiotherapy are included such as Chest percussion, Controlled coughing techniques, Deep breathing exercises, Incentive spirometry and Postural drainage. Journal of Physiotherapy & Physical Rehabilitation, Journal of Novel Physiotherapies, Journal of Sports Medicine & Doping Studies, International Journal of Physical Medicine & Rehabilitation, American Review of Respiratory Disease, Egyptian Journal of Chest Disease and Tuberculosis, Italian Journal of Paediatrics, European Respiratory Journal, Chartered Society of Physiotherapy, Blood. Interstitial lung disease (ILD), also known as diffuse parenchymal lung disease (DPLD), refers to a group of lung diseases affecting the interstitium (the tissue and space around the air sacs of the lungs). Cigarette smoking may increase the risk of developing some forms of ILD and may cause the disease to be more severe. Journal of Pulmonary & Respiratory Medicine,Rheumatology: Current Research, Journal of Lung Diseases & Treatment, American Journal of Respiratory and Critical Care Medicine, Multidisciplinary Respiratory Medicine, Interactive Cardiovascular and Thoracic Surgery, The Pharmaceutical Journal, Orphanet Journal of Rare Diseases. Sarcoidosis is systemic disorder characterized by idiopathic granulomatous inflammation. It may involve several organs within a body predominantly lungs, lymph nodes, skin and eyes. Diagnosis is based on the clinical manifestations and histologic features. The exact cause to disease is imprecise but it is believed to be immune reaction to a drug or bacteria. Journal of Vasculitis, Sarcoidosis, vasculitis, and diffuse lung diseases, Brain A Journal of Neurology, Journal of Cutaneous Pathology, European Journal of Nuclear Medicine and Molecular Imaging, Clinical Kidney Journal, Clinical Nephrology. Heart disease describes a range of conditions that affect your heart. Diseases under the heart disease umbrella include blood vessel diseases, such as coronary artery disease; heart rhythm problems arrhythmias; and heart defects you're born with (congenital heart defects), among others.The term "heart disease" is often used interchangeably with the term "cardiovascular disease." Cardiovascular disease generally refers to conditions that involve narrowed or blocked blood vessels that can lead to a heart attack, chest pain angina or stroke. Other heart conditions, such as those that affect your heart's muscle, valves or rhythm, also are considered forms of heart disease. International Journal of Clinical & Medical Imaging, Journal of Cardiovascular Diseases & Diagnosis, American Heart Association Journal, Journal of Hypertension: Open Access, Journal of Vascular Medicine & Surgery, Circulation: Cardiovascular Quality and Outcomes, World Journal of Cardiovascular Diseases, Journal of Cardiovascular Nursing. Tuberculosis is an infectious and severe airborne disease spread in form of tiny microscopic droplets primarily affecting the lungs. The infection is caused by Mycobacterium tuberculosis (Mtb) bacteria. It affects other body organs also such as bones, kidney, lymph nodes, spine and sometimes skin. The people with weak immune system are more susceptible for developing TB disease. Loss of appetite, night sweat and weight loss are some of the early symptoms. Journal of Pulmonary & Respiratory Medicine, Mycobacterial Diseases, Journal of Tropical Diseases & Public Health, Tropical Medicine & Surgery, Tuberculosis Research and Treatment, Journal of Tuberculosis Research, Indian Journal of Tuberculosis, The International Journal of Tuberculosis and Lung Disease. Different antithrombotics affect different blood clotting processes: Antiplatelet drugs limit the migration or aggregation of platelets. Anticoagulants limit the ability of the blood to clot. Thrombolytic drugs act to dissolve clots after they have formed. Journal of Pulmonary & Respiratory Medicine, Angiology: Open Access, Journal of Thrombosis and Circulation: Open Access, Journal of Blood Disorders & Transfusion, Cleveland Clinic Journal of Medicine, The New England Journal of Medicine, Journal of Invasive Cardiology, The Pharmaceutical Journal, Journal of the American College of Cardiology. Pulmonary function tests (PFTs) are noninvasive diagnostic tests that provide measurable feedback about the function of the lungs. By assessing, lung volumes capacities, rates of flow, and gas exchange, PFTs provide information that, when evaluated by your doctor, can help diagnosis certain lung disorders. Journal of Pulmonary & Respiratory Medicine, Journal of Clinical & Experimental Cardiology, Air & Water Borne Diseases, International Journal of Physical Medicine & Rehabilitation, Proceedings of the American Thoracic Society, Rheumatology, Respiratory Care, Multidisciplinary Respiratory Medicine, European Journal of Medical Research, American Association of Respiratory Care. Respiratory care is an allied health specialty which provides a wide range of therapeutic and diagnostic services to patients with heart and lung disorders. Respiratory therapists, also known as respiratory care practitioners, are involved in the evaluation and monitoring of of heart and lung function as well as giving treatment. Journal of Clinical Respiratory: Open Access, Mycobacterial Diseases, Journal of Pulmonary & Respiratory Medicine, Journal of Yoga & Physical Therapy, Respiratory Care, Multidisciplinary Respiratory Medicine, European Journal of Medical Research, American Association of Respiratory Care, Journal of Pulmonary & Respiratory Medicine, Canadian Journal of Respiratory Therapy, Respiratory Medicine, Global Journal of Respiratory Care, International Journal of Respiratory Care. Heart transplant is replacement of the failing heart through surgery. The healthy is transplanted from a deceased donor. Transplant is done to patients suffering from the end stage heart failure where all other treatments have failed. Donor heart is matched as closely as possible to reduce the chance of rejection. This procedure is also done only when severe angina is untreatable or severe heart defects that were present at the time of birth. Journal of Transplantation Technologies & Research, Journal of Clinical & Experimental Cardiology, Transplant Reports : Open Access, General Medicine: Open Access, The Journal of Heart and Lung Transplantation, Circulation, The International Society of Heart, Lung and Transplantation, Journal of Transplantation Technologies & Research, Cardiovascular Psychiatry and Neurology, Heart transplant and Surgery Journal.